We know the tradition of change at Oregon will continue. 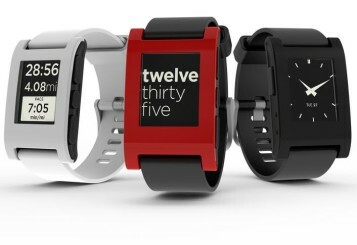 If you own one, you might be an Early Adopter. Have you heard of Everett Rogers theory of Diffusion of Innovation? The theory states that any successful new idea or technology spreads through culture through five distinct groups: Innovators, Early Adopters, Early Majority, Late Majority and Laggards. When a new trend emerges, the Innovators are likely the ones who brought their brain child out for human adulation. The next group is the Early Adopters. Early Adopters have created a culture flexible enough to change quickly. These are the people who camped out for the iWatch, had a Blue Ray player 10 years ago and are getting bored with their 3D television. The Early Majority comes next. These are the people who see a movement as more than a flash in the pan. They know the movement is a meaningful trend. They’ve been watching. They observed from afar and are agile enough to take action. Their diffusion of innovation take significantly longer than Innovators or Early Adopters. The Late Majority are the skeptics and have finally given in. This is Nick Saban and the spread offense – he complained and resisted and then he finally adopted. Finally, we have the Laggards. The Laggards are the last to adopt. They hold to traditions above all else and only come along kicking and screaming. This is my Dad and his flip phone. This is my Mom who still doesn’t text. This is my Uncle Mark and his t-shirts from 1984. If Oregon is part of the Innovators or Early Adopters of the spread offense (an argument could be made for either role), where is the spread offense in the process of diffusion? It would be a hard to place the spread anywhere other than Late Majority or Laggards as most FBS teams deploy some aspects of the spread/read-option/hurry-up attack. The spread is prevalent as well at most high school games and almost all NFL games. So what does Oregon do next to continue to lead as innovators and early adopters of the latest trends in college football? Here are three cutting edge offensive sets/strategies you could see this fall coming out of Eugene. 1) Four- and Five-wide receiver sets. Oregon returns some of the top receiver talent and depth in the nation coming into the 2015 season. The Ducks return starters Dwayne Stanford, Darren Carrington and Byron Marshall, as well as Bralon Addison and Devon Allen who are expected to return from injuries. Highly regarded redshirt freshman Jalen Brown and true freshman Alex Ofodile are also set to make their debuts. This embarrassment of talent could lead the Ducks to exploit defenses by getting four and five receivers on the field at once. Is this completely new to college football? No, but it’s rare and definitely not the norm at Oregon. Look no further than teams such as Baylor, Texas Tech and Mike Leach’s Washington State Cougars. These schemes creatively deploy a bevy of wide receivers on most sets — spreading the defense out and getting their speed players in space. 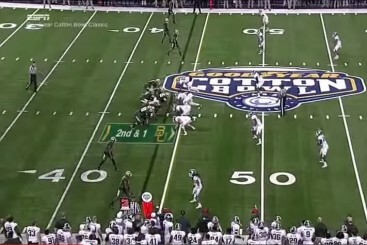 Baylor spreads the field as wide as possible to create space for speed. 2) Using the whole field. Another set we often saw from Baylor was spreading their receivers out as wide as possible — including moving inside receivers out wide by the numbers. Formations like these remove defenders from the box and again, get skill players into space. This is designed to create individual mismatches and then hammer those mismatches until the defense adjusts — normally creating still new mismatches. The Patriots are using only four offensive lineman vs Baltimore. 3) Creativity with lineman. The New England Patriots are constantly in headlines and you’re probably tired of reading about “deflate gate.” However, remember the controversy after facing the Baltimore Ravens in the playoffs in January before deflate gate? 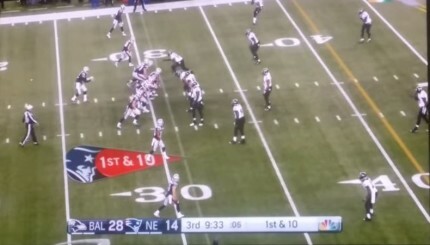 The Patriots used a formation using only four offensive lineman. The Patriots used four clearly identifiable offensive linemen and had another player who was lined up in a different part of the formation declare himself as the fifth ineligible player. The Ravens didn’t know who that ineligible player would be until the referee announced it a few seconds before the play started — giving the Ravens little time to react and resulting in a 15-yard completion by Tom Brady to Michael Hoomanawanui. 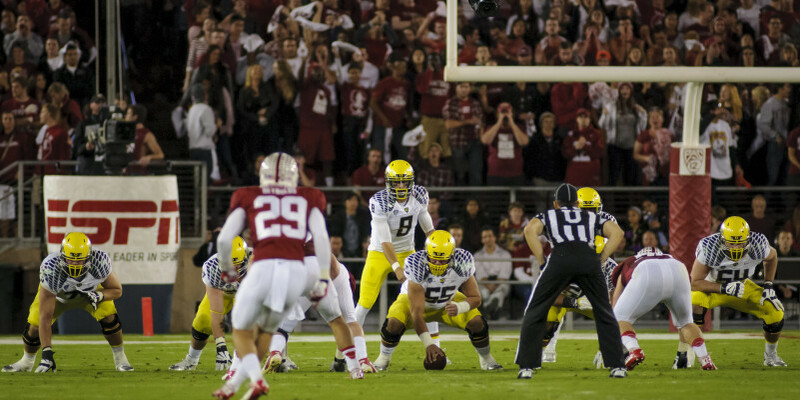 Innovative formations — exploiting mismatches with speed — creating confusion for the defense — if any offensive traditions exist at Oregon today, these are the best known. Oregon may be tired of its own 3D TV, and while we likely won’t be seeing a fullback any time soon, we may see elements of the three trends above come next fall. Or, per Oregon’s standard mode of operation, they may again give us something we’ve never seen before.